"You find courage," says Sally Vantress-Lodato. "I called it 'earned courage.'" Just over 30 years ago, in January 1988, Sally Vantress-Lodato pushed down on the pedal of her bicycle nicknamed "Buddy" for the first time. The resistance the novice cyclist felt from Buddy was "startling," but the diminutive then-30-year-old pedaled through the pain, learning how to balance the touring packs of gear strapped to the bike while quickly discerning that automobiles in New Zealand drove on the opposite side of the road than they did in her California hometown. 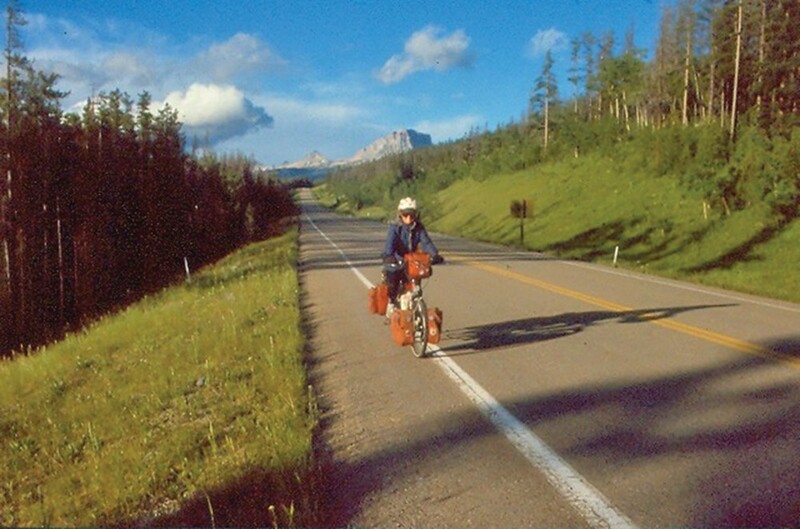 Those clumsy first rotations of her tires were the start of an adventure that took Vantress-Lodato across more than 21,000 miles aboard Buddy, spanning Australia and Asia, Europe and North America over the course of 18 months. She arrived at home in the Bay Area on July 29, 1989, and published a book about her adventure a year later. A battered pannier from the trip marks some of her stops. But looking back now as a happy Spokane mother, wife and long-time professional in outdoor recreation, Vantress-Lodato believes that her trip never really ended, even if Buddy isn't part of the ride anymore. She sees everything she's done in the 30 years since her ride as part of that experience of first pushing the pedal down. "I've learned it's all connected," Vantress-Lodato says. "I don't think there's one thing that's not connected. I think of it this way: One thing leads you to another thing, which leads you to another thing. It starts somewhere and never ends if you don't allow it to end. I don't think our journeys should ever end, as far as our experiences and what we're searching for in life." Now having just-turned 60 and recently retired from more than two decades managing Spokane's REI store, Vantress-Lodato is far from "settling down." 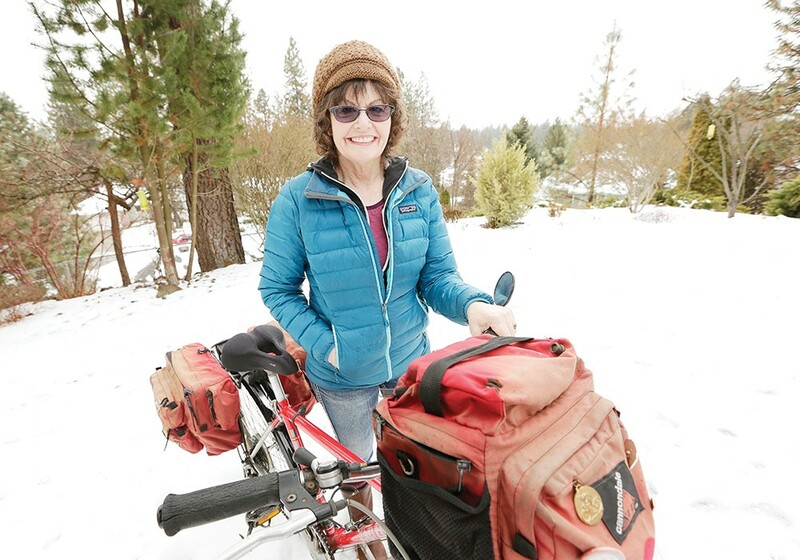 She serves on the Spokane Park Board and the Riverside State Park Foundation, works as a public speaker and recently completed an update of the book about her bike ride, Seeing Myself Seeing The World. The new version adds hard-earned perspective she's gained in the years since the trip — perspective she says it was difficult to have when she first got home from her 18 months abroad, or while on the journey. "When I came home, I was like, 'Do I understand what I did?'" Vantress-Lodato says. "I didn't have time to think about that on the trip. I did a little bit, but when you're in survival mode, your mind has to be on that. It can't go somewhere else where it's not real, or not about survival. A fully loaded Buddy the Bike in New Zealand, 1988. "I came back from my bike ride and I was really lost and confused and thought I'd have answers. I had no answers. I had more questions than I had answers. I got lonely and depressed because my life was so different, and everyone else's life had moved on." Returning to her story from 30 years ago allowed her to consider her motivations for embarking on a seemingly insane trip. The day-to-day details are the same, of course, and offer remarkable glimpses into a range of cultures and people encountered along her path. The intervening years, though, have helped her appreciate the passion and drive that pushed her to keep Buddy moving forward all those years ago. "When I was 30, I wrote this book," Vantress-Lodato says. "I was not a writer. I laugh about how you get into things you're not really qualified to do. 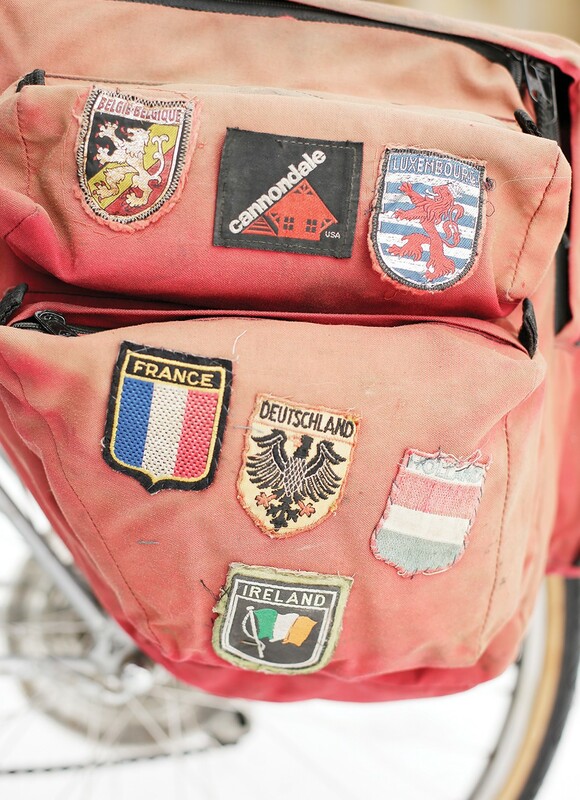 I wasn't qualified to ride around the world on a bicycle. I wasn't qualified to write a book. Nor was I qualified to become a public speaker... We create those limitations for ourselves. We limit our ability to do things because we think we can't do it. "Sometimes it's about blind faith. I wouldn't say I had courage, or that I have it today. But you find courage. I called it 'earned courage.' And you keep earning it, and earning it. You don't deal with fear and think, 'I've arrived. I'm done. I'll always never be afraid.' Those are the kinds of things I think about 30 years later." It would be easy to think of her revisiting and rewriting of Seeing Myself Seeing The World as "coming full circle," a poetic end to this particular adventure. But the journey she took on Buddy still calls to her, often through other people who have been inspired by her story and want to talk to her about their own trials. The questions people ask of her drove Vantress-Lodato to explore her own strengths and what she had to offer others. She's constantly learning from those around her, and teaching them as well, and the knowledge she gains and disseminates fuels her ability to work in a variety of fields as surely as snacks along her ride fueled her ever forward for 21,000 miles. "I want to surround myself with energy and people and life experiences where the combination of all those matters and is meaningful and is helping others and serving others," Vantress-Lodato says of what's next for her. "Serving something greater than ourselves, that's been my exploration the last year." The original print version of this article was headlined "Still Rolling"